Dok2‘s bonus track ‘그쯤에서 해‘ from his <Do It For The Fans Mixtape> will be released and sold as a digital single on January 11. 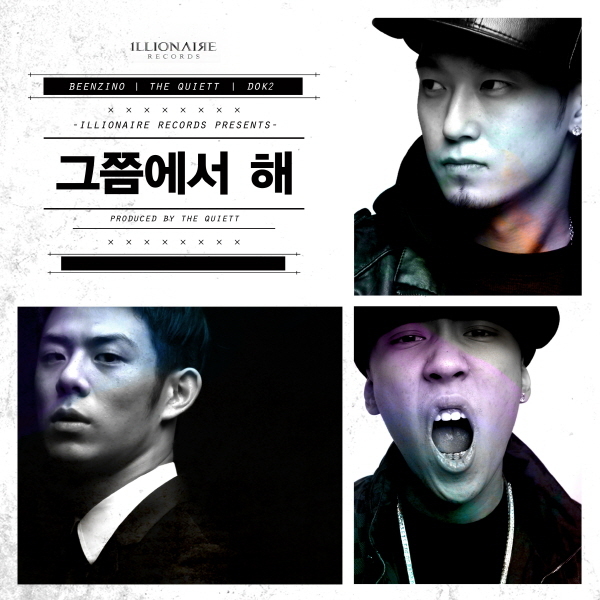 ‘그쯤에서 해’ features ILLIONAIRE RECORDS artists Beenzino and The Quiett, and will be available on many music portal sites. This entry was posted in Album Release, Videos and tagged Beenzino, dok2, 그쯤에서 해, ILLIONAIRE RECORDS, the quiet. Bookmark the permalink.